Photos: On Thrift (Armeria maritima). Allihies, Co. Cork, SW Ireland. 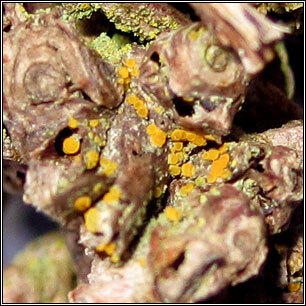 Thallus of small yellow-orange, flat or flexose areoles, the margins with paler soredia that can cover much of thallus. 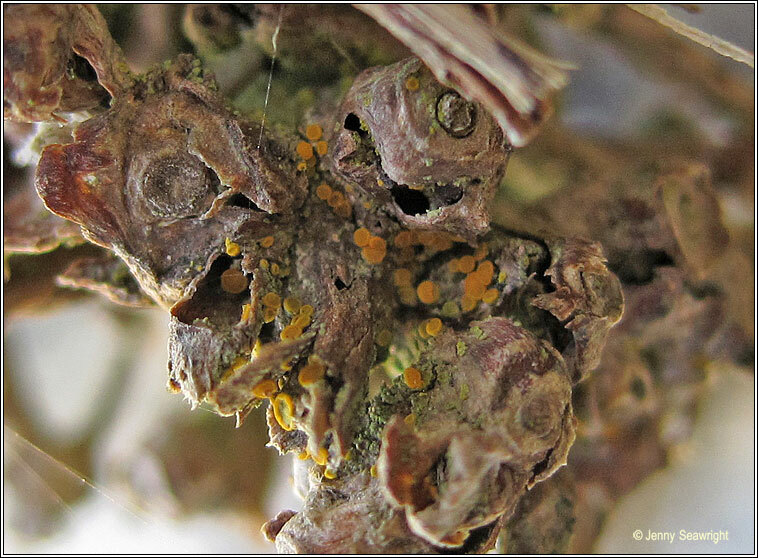 Apothecia are frequent, the discs darker than the thallus, margins rarely sorediate. 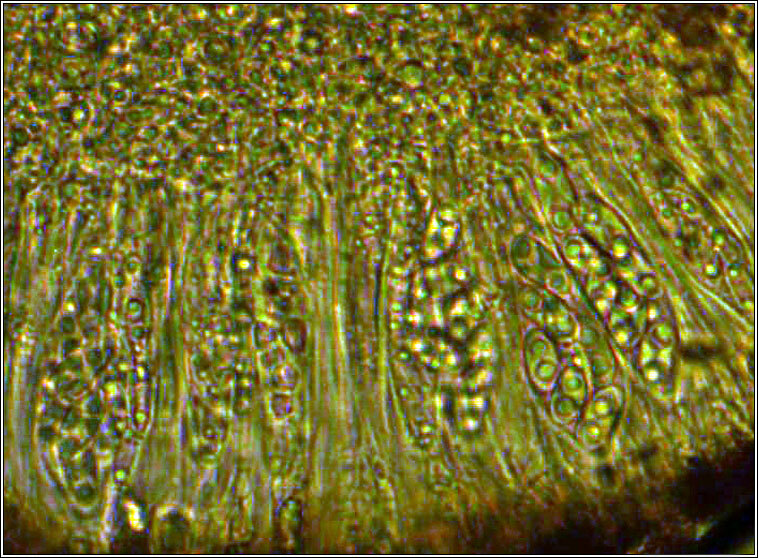 Spores 9-13(-14) x 4.5-7(-8) µm, septum 2.5-4 µm. Microscope photograph below. K+ red-purple. Saxicolous and corticolous but possibly under-recorded. Occurs throughout Ireland on calcareous rocks, limestone, mortar, cement, and on base-rich bark.